The sun is shining, the birds are singing and we’re at the first ever Bristol Harbour Side Triathlon. Come down and see the biggest thing to hit triathlon in Bristol since “Big” Kes Aleknvicius. See the Retul 3D motion capture system in action! Missed us this week? Catch us next weekend at the Big and Little Woody triathlons in the Forest of Dean. 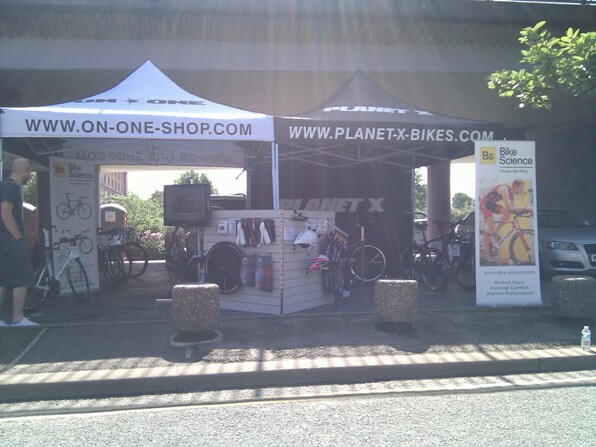 This entry was posted on Sunday, August 22nd, 2010 at 2:35 pm	and is filed under Bike Fitting, Planet X Bikes. You can follow any responses to this entry through the RSS 2.0 feed. Both comments and pings are currently closed.